Ceramics has a history spanning millennia and providing archaeologists and historians with key information on how humans have shaped their surroundings and manipulated materials all over the world. In Ireland ceramic artefacts have been found, now part of the collections of the National Museum of Ireland, dating back to as early as 3500 BC. But Irish pottery and ceramic ware is not solely an artefact in a museum, Irish ceramics live and breathe, they develop and evolve today both in functional and sculptural terms, with a number of artists, designers and makers all over the country creating beautiful work worth celebrating. Here is a look at just a small number of those makers pushing the boundaries traditional techniques and exploring contemporary aesthetics, functions or concepts. Derry-born, Cornwall-based potter Jack Doherty creates vessels with a primal feel, echoing those artefacts previously mentioned in their form, texture and rich colours (pictured above). Exploring archetypal forms and using an elemental colour palette and surface texture, his work feels timeless and universal. An ongoing series entitled Harbouring stems from his childhood in a family of fishermen, developing a fascination for the harbour. The work explores the vessel as a means of concealing, keeping safe from harm and protecting from being seen or discovered, but which looks past physical interpretations of the harbour and harbouring and moves to the abstract. The results (so far) are pieces which could have always existed, yet feel fresh and new. They are quiet yet speak clearly, are simple yet intriguing. 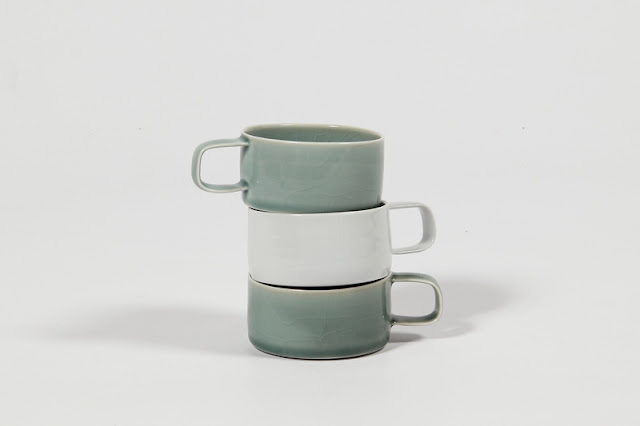 Treading the line between functional ceramic ware and sculpture, Dublin-based Orlaith Ross is creating ranges for one of Dublin's leading coffee haunts 3FE and newly-opened restaurant Forest Avenue. 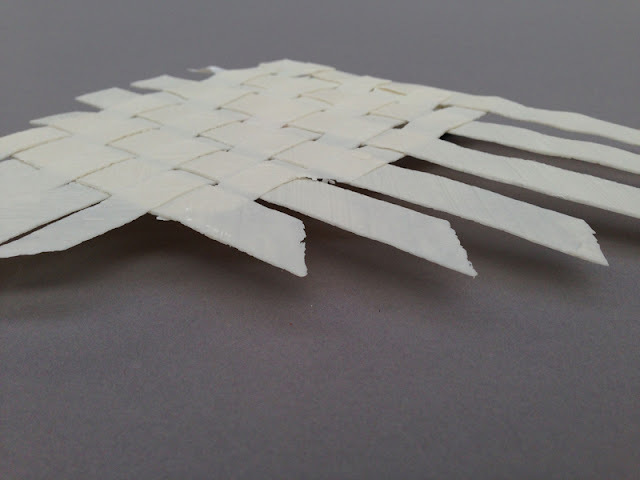 But when not producing bespoke tableware, her work looks at architecture and urban degeneration through the medium of porcelain (pictured top and above). Creating sculptural works by combining porcelain with fibreglass, increasing the material's fragility and translucency, Ross's work examines the rise and fall of the Celtic Tiger in terms of the built environment and development, looking at what was built at a time of prosperity and what's been left behind to crumble. Developed as part of a residency at the National College of Art and Design last year and combining delicate sculptural forms and screen printing, the work has a haunting nature and echoes the fragility of Ireland's economy and now long gone property boom. Cork-based artist Sara Flynn has been engaged in full-time practice since 1999, and you can see in her work – also in porcelain – a deepened understanding of and experimentation with form and process to create an ever-evolving series of work (above). By altering thrown vessels Flynn creates minimal yet beguiling forms, using glaze and colour palette to a minimum, further allowing form and process to shine. 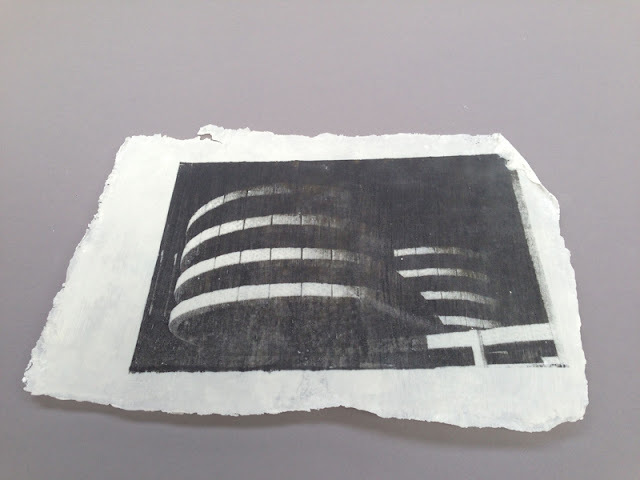 With work in a number of public collections here in Ireland and internationally and a number of exhibitions coming up this autumn (including a solo show in Erskine Hall & Coe in London in November), Flynn is an artist clearly going from strength to strength. Another artist creating quiet, minimalist works is Belfast-based Derek Wilson, who's work has garnered much attention in recent years (above). Whether it's functional tableware with a warm feel or sculptural items, his work tends to come in series or groupings, evoking the idea of communality or sociability. Functional work feeds off sculptural work and vice versa and inspiration is found in a number of places, colours, textures and historical sources. Ultimately there is an everyday beauty to Wilson's work, celebrating simplicity of form, or colour and of the daily rituals of eating, drinking and making. Focussing on functional ceramics, Kilkenny-based Catherine Keher (aka Per Dozen Design), an illustrator and printmaker by training, began her transition into ceramics by applying her charming animal and patterned illustrations to ceramic plates. 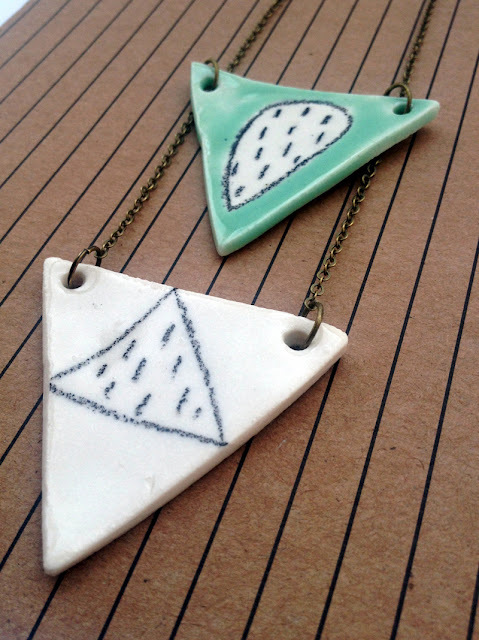 More recently she's been further experimenting by creating wearable porcelain pieces (above), applying her geometric patterns to pieces that go through three kiln firings to create unique surfaces and textures. Available to buy through her Etsy shop, Keher's jewellery brings pattern, colour and character to porcelain and prove that functional ceramics aren't just for drinking out of or eating off of. Also working in Kilkenny and also employing pattern and surface illustration to great effect is Andrew Ludick. The American-born artist manipulates white earthenware clay through coil building and pinching, giving his vessels an uneven, quirky feel (above). Onto these vessels he draws and paints botanical forms, combining blocks of brightly coloured glazes with linear drawings to create unique and individual pieces full of life and character. Creating simple and beautiful pottery to be used in the home is Ardmore Pottery & Gallery in Waterford, led by Mary Lincoln. A highlight is the Copper range (above), featuring jugs, bowls, plates and more in the beautiful green of weathered copper. More recently, Ardmore has produced a handpainted range, applying brightly coloured patterns by hand. Within this range are Lincoln's handpainted coffee cups which have been carefully measured to be used with your Nespresso machine, ensuring traditional pottery can fit with your modern lifestyle! These are just a small number of ceramicists making interesting work right now: there's a whole community of makers across the country exploring this versatile material in a myriad of ways for a variety of reasons, be they functional, decorative, sculptural or conceptual. Contemporary Irish ceramics is there to be explored and enjoyed, I suggest you do so now! 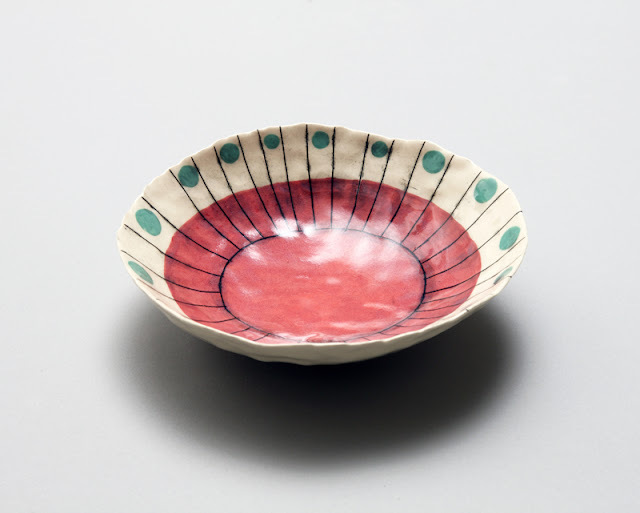 There are a number of exhibitions coming up that take a closer look at Irish ceramics, including Centred in Farmleigh House, Phoenix Park. Centred will feature the work of Sara Flynn, Jack Doherty, Andrew Ludick, Derek Wilson and many others and runs from 8 August to 5 October. 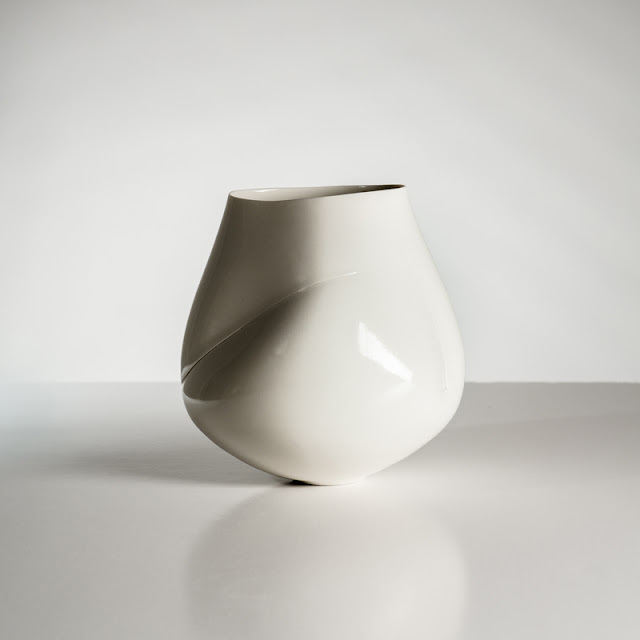 Also coming up this autumn is Vase Vessel Void, curated by Brian Kennedy and taking place in Dublin's Oliver Sears Gallery from 4 September to 2 October, featuring Sara Flynn. If discussing ceramics is your thing, you might want to look into the International Academy of Ceramics which brings its General Assembly to Dublin this year, from 8 to 12 September. 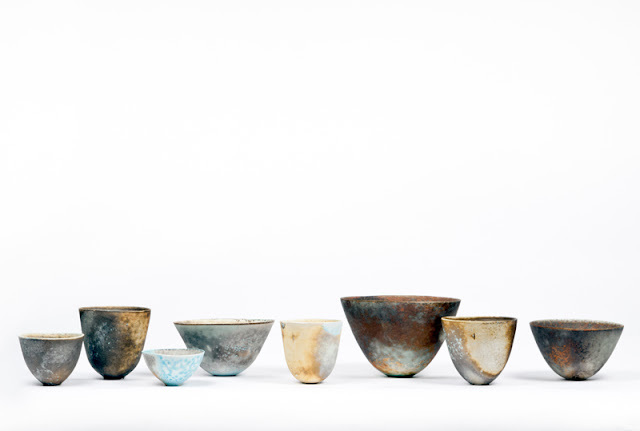 Featuring lectures, panel discussions, exhibitions and more, it's bound to be an exciting few days for ceramicists, collectors, historians and enthusiasts. Just before that, between 5 and 7 September, Ceramics Ireland hosts its annual Festival in Thomastown, Kilkenny, featuring demonstrations, talks and more. 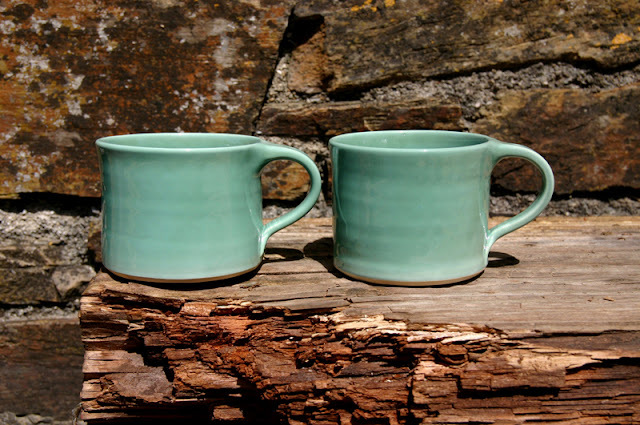 There are a host of great shops all over Ireland and online selling top quality Irish ceramics. If you're based in or near Dublin make sure to check out the Irish Design Shop on Drury Street for ceramics as well as a host of other craft and design work made in Ireland. Ardmore Pottery & Gallery in Waterford sells their own work along with a great selection of other Irish ceramics and crafts. Leading online retailers include Makers & Brothers, providing a beautiful selection of design and craft from Irish and international makers, including Derek Wilson, while I am of Ireland sells the work of Andrew Ludick, Jack Doherty, Ardmore and others.